An accounting proposal can help accountants, accounting firms and other entities in the field or industry of accounting to get their prospective clients. 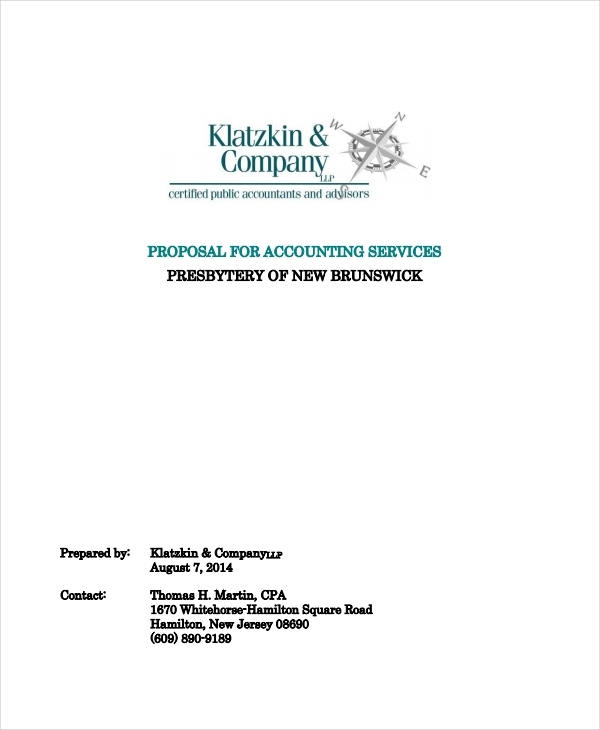 Just like other proposal examples in pdf, Word or Excel; it is essential for accounting proposals to be complete, direct to the point and attention-grabbing so that clients can get the impression of what businesses can provide them with. 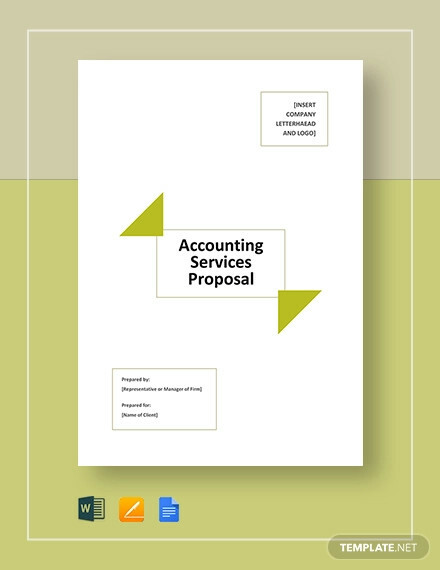 If you already know how to write a book proposal, then you may also want to learn a thing or two about the creation of accounting proposal. Making an accounting proposal is as easy as developing budget proposal examples as long as you are already aware of the basics of proposal making. 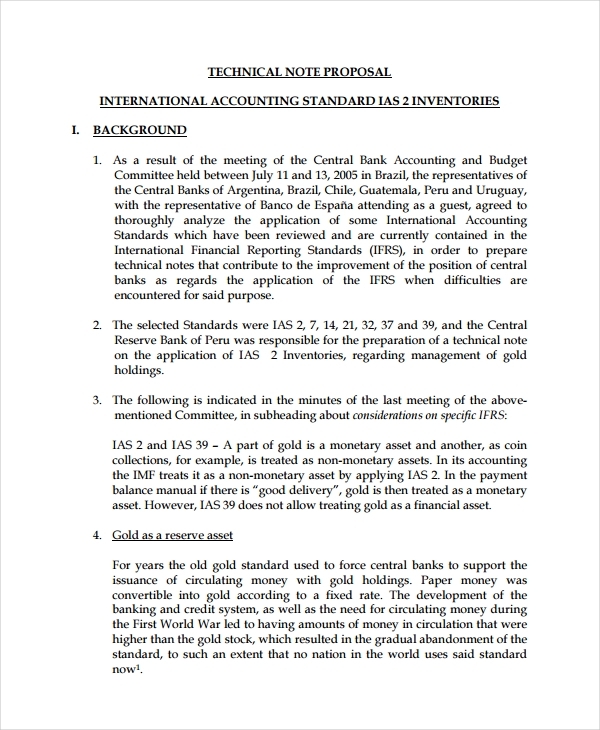 Having no idea on how to write this kind of document should not be a concern as we have listed examples, guides and tips that you can use as references. 1. 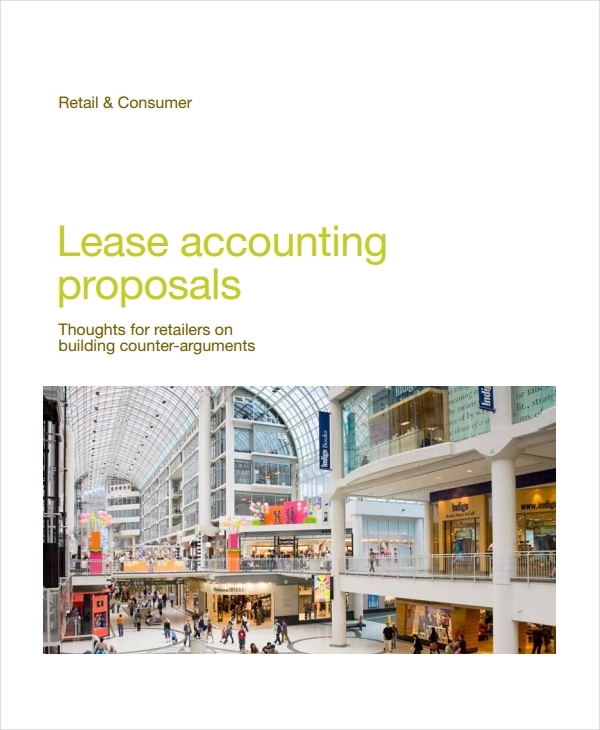 You can develop accounting proposals if you want the management of the business where you are currently working at to support your proposal in a financial aspect. This is observed in internal transactions where there is a need for accounting services to be outsourced and the finance department needs to ask for funding by proposing the usages of the funds or budget of the business for the specified accounting services. With this, keep in mind that business proposal examples & samples are not just done in B2C or B2B transactions. 2. You can present an accounting proposal if you would like to bid for your accounting services to possibly be selected by your prospective clients. 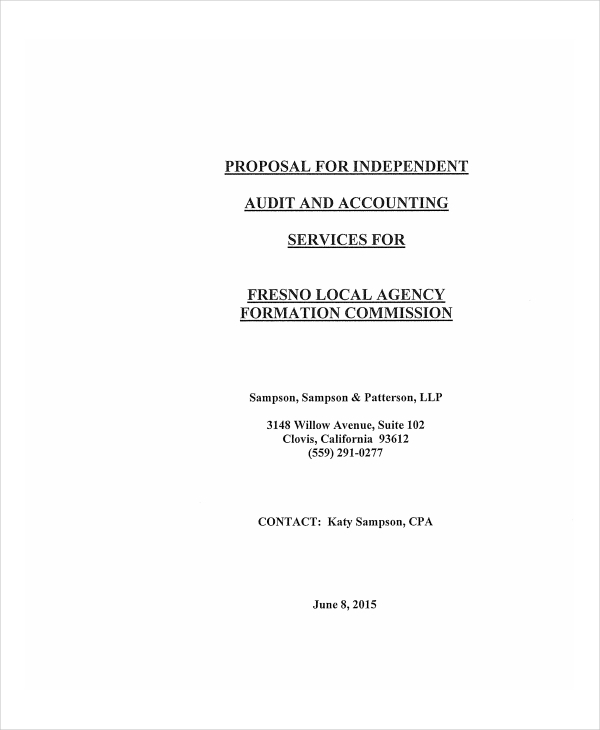 Accounting proposals are commonly created as a response for client’s request for proposals. If this is the reason why you need to make an accounting proposal, then you should be aware on how to write a business proposal for customers. 1. When making research proposal examples & samples, the problem at hand is important to be looked into so that the research proposal can address areas of concern. 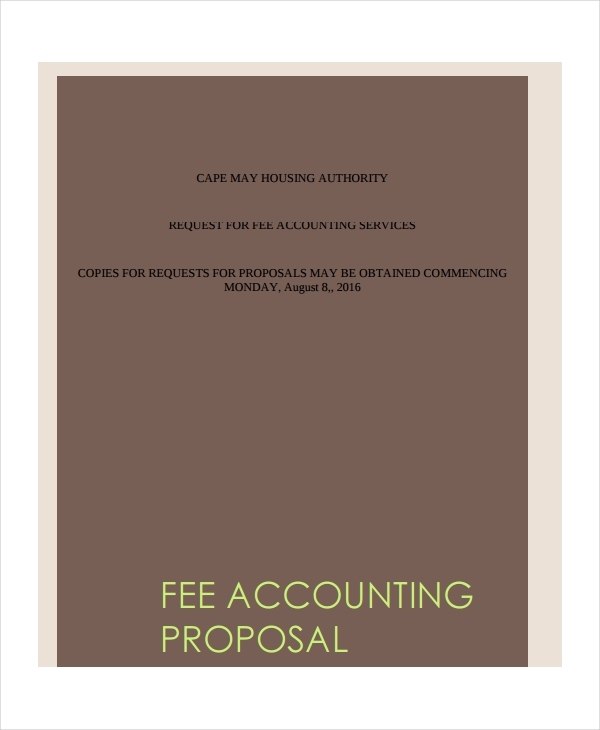 The same goes with accounting proposals. Always list down the concerns that you have with the transaction especially those that are related and relevant to the needs, demands, and requirements of the clients. 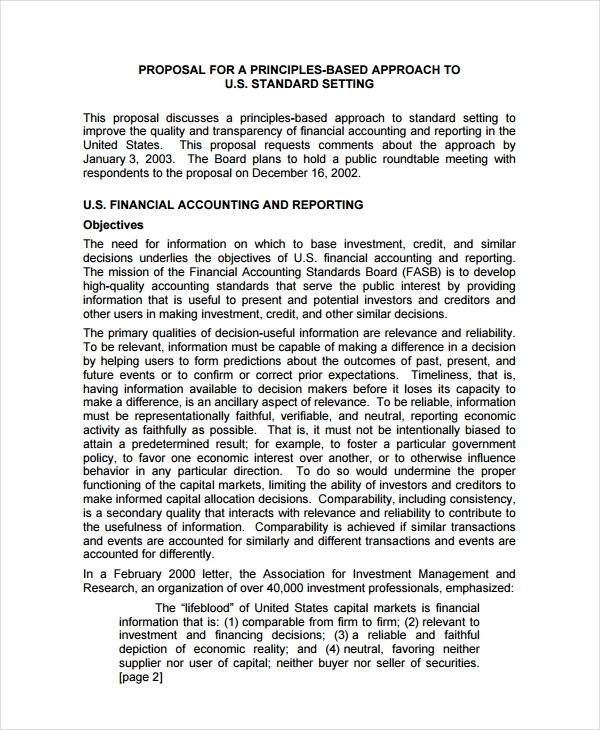 This will help you narrow down the information that you will include in the accounting proposal. 2. 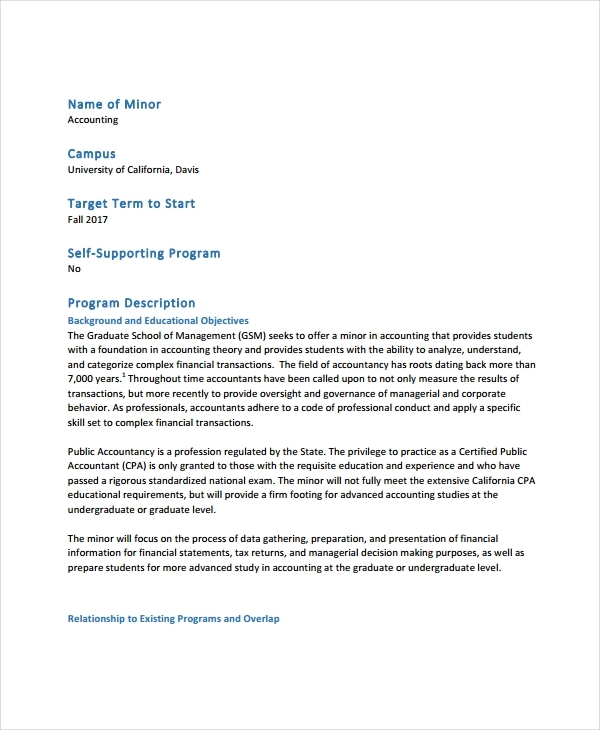 Just like the initials steps on how to prepare a nonprofit grant proposal budget, create a draft that can specifically plot your plan for your accounting proposal. Your discussion should be transparent enough for clients to see that you are truly aware of what you are talking about. 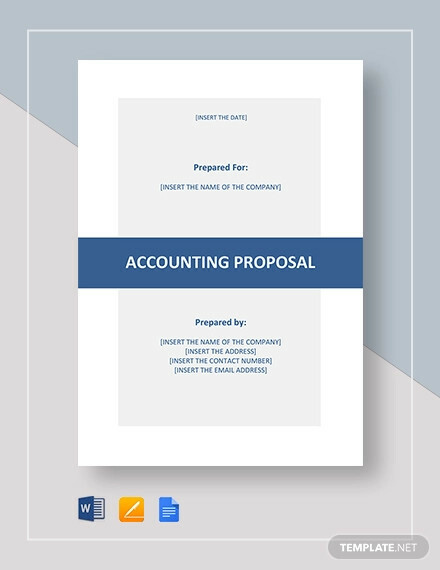 If you do not know how to create the layout of an accounting proposal, you can use proposal templates and examples as your guides and references. Aside from that, listed below are some tips that will allow you to end up with an effective and comprehensive accounting proposal. 3. Present a timeline or a time frame that you will follow when it comes to providing your accounting services. The time duration that you will specify should be realistic for goals to be attainable. 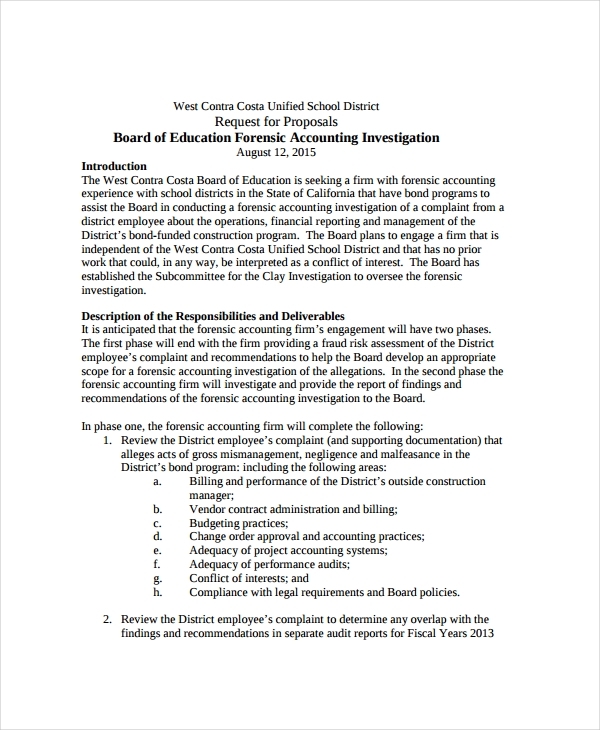 This also goes with the development of fundraising proposal examples & samples and other kinds of corporate proposals. 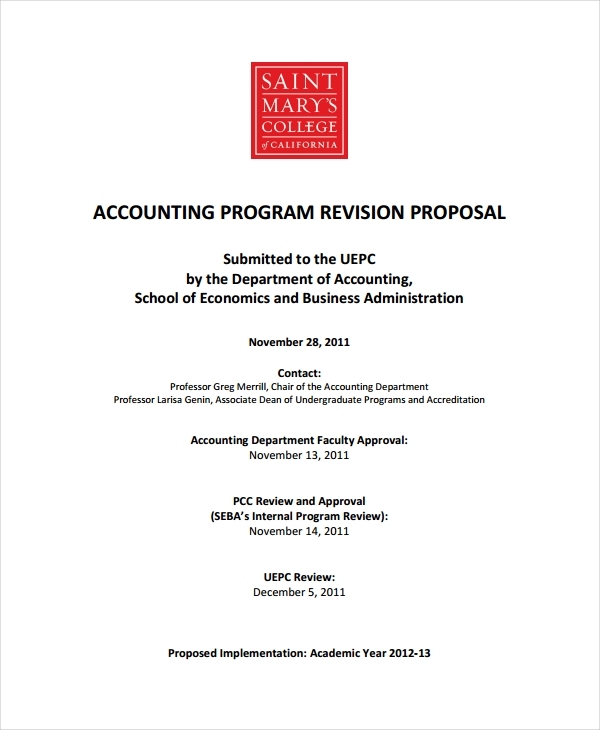 Proofreading is not only for accounting proposals. You can also use it on investment proposal examples, non-profit proposal examples & samples, and all the other proposals out there. Make your accounting proposal and ensure that you will review it once again so you can spot errors and items that you need to remove or improve. 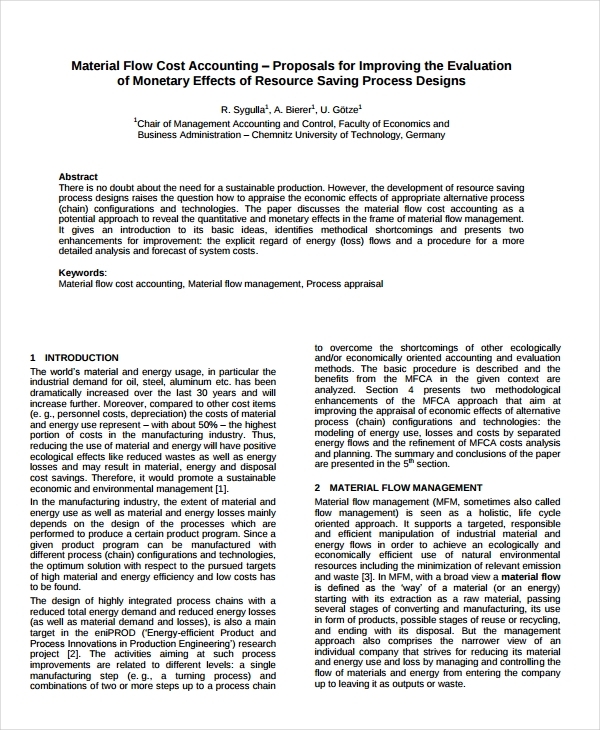 Do not hesitate to browse through our downloadable samples again if you want to refresh your mind on what you can include in an accounting proposal and how you can put them in a single document.